We are happy to announce, that the very first version of application was deployed into Windows Phone Store. It took more than a month (starting from initial commit on 02/19/2015) to polish things and deliver limited, but robust features. The last point was made especially carefully, since it's one of the most important features of Mi Band itself. Now you can easy set up to three alarms for specific days. 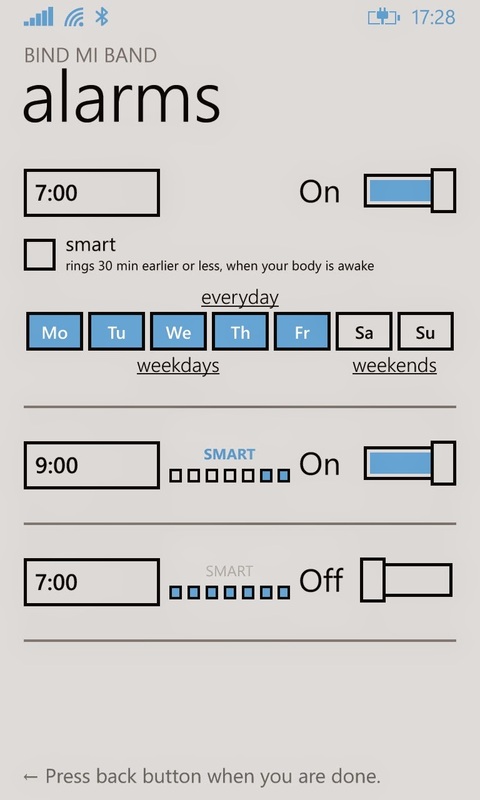 Any of them can work in "smart" mode, which means, that band will vibrate during interval of 30 min earlier, when your body is ready (actually, when you start to move in sleep). Under curtains there are also such important, but not visible things like smooth pairing, error diagnostics, about page, synchronization and first start experience. 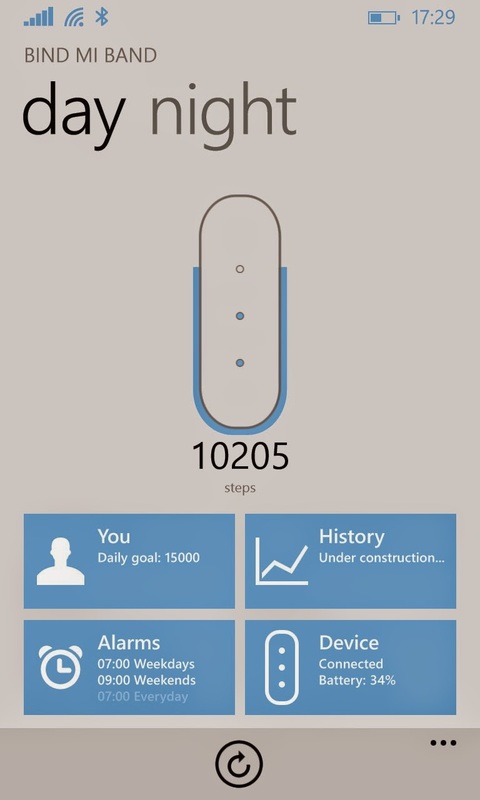 We try to create best application for Mi Band and Windows Phone. Every detail is payed attention. Not everything is perfect, but we'll improve. High-quality applications - this is what WP users miss all the time and what we want to give. We trust this platform and believe, that our users will do the same. Many features are coming, just be patient. Don't hesitate to Bind Mi Band and get the latest version of app from here.